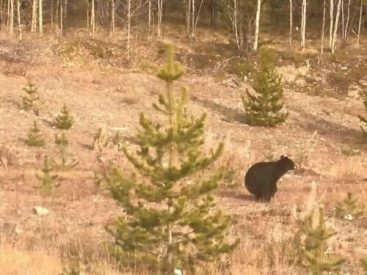 Now that we know that bears poop in the woods, how do we confirm Magnus was Champion of GFW? Kevin & Shahid are here to talk about running a marathon and the many reasons why not to do it. What possesses people to cover this much distance on foot? As usual though, they do get down to the nitty gritty of professional wrestling. Is it coincidence that the WWE has acknowledged TNA now that it’s called Global Force Wrestling? Did TNA last longer than WCW? How big of a scam artist is Jeff Jarrett? How many hints did Matt Hardy drop on Monday that him and Jeff Hardy will finally become the Broken versions of themselves? How is it that Roman Reigns is the smallest main eventer in the hunt for the Universal Championship? How well is Samoa Joe channeling his anger these days? Why are Brock Lesnar and Braun Strowman both such mutants? Will the four end up in one match at Summerslam? Are they the reason Finn Balor is stuck feuding with Elias Samson? Why is it that Seth Rollins looks more believable taking on these monsters rather than someone like Balor? Has Bray Wyatt been packing on the pounds since moving to Raw? Kevin & Shahid move along to Smackdown Live and talk about their hierarchy. Did they lose their mid-card when The Miz & Dean Ambrose moved to Raw? Will AJ Styles winning at Madison Square Garden change how people view house shows? Will he be able to establish the mid-card again with the US Championship? Why is the SDL tag team scene heavy on baby faces while Raw’s scene is littered with heels? How are the women faring weeks after being the main event on all three major WWE TV brands? What else do Kevin & Shahid cover? Find out by clicking the link below!